How did the family feel about the embarrassing gifts Madison got at her bridal shower? That was addressed on Sister Wives Season 11 Episode 4 when the big day finally arrived, but there were mixed emotions about some of the gifts. Meanwhile on this hit reality series, Mykelti and Antonio announced their engagement, but did they stick to the date for their wedding that Kody suggested earlier in the season? 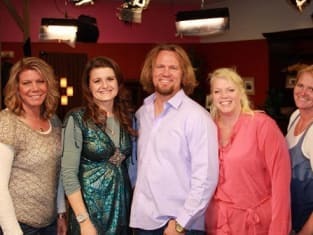 Use the video above to watch Sister Wives online to get caught up with the latest drama for the family.